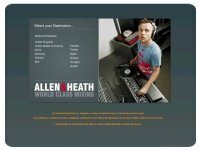 Live Sound Mixers (up to 24, or 96ch.) analog or digital Mixers. DJ&Club mixers, softwares, support, forum.